On June 9th, 2017 there will be a Full Moon in the sign of Sagittarius. This Full Moon arrives in a strangely somber cloud, but will end triumphantly as Jupiter stations direct in Libra only an hour after its culmination. Yes, a test of your strength is coming, but it is important to welcome such tests as providential. Without intense examination, how can you truly know yourself? Full Moons occur when the Sun and the Moon are directly opposed one another, offering an experience of stark polarity between their respective zodiacal signs. In this case, the Sun in Gemini will oppose the Moon in Sagittarius, prompting you to pay greater attention to your appetite for knowledge and where that appetite may be leading you. Examine your current opinions and beliefs with sincerity. Are these currents of ideology bringing you any closer to wisdom? In the Information Age, almost any appetite for information is extolled as a virtue. Whatever it may be that keeps your mind occupied, plugged in and buzzing with mental stimulation is considered desirable. During Gemini season, the urge to consume data, connect dots, and hear both sides of every tale is enlivened to a point where you may find yourself totally entangled in a web of hysterical non sequiturs and groundless statistics. Though Gemini’s whirring appetite for knowledge is a welcome asset for keeping one’s mind nimble, the act of amassing information without any wisdom to back it up can become its own kind of imprisonment. Without wisdom, all facts fall into grey areas and all context becomes lost in a haze. Thus, at this Full Moon in Sagittarius, you will be offered a welcome chance to distill some of your knowledge, finding a deeper meaning within disparate facts. The sign of Sagittarius seizes the volumes of information gathered by Gemini and begins to look for ways to boil the pulp of knowledge down into a quintessence of wisdom. Inspired to know the holiness in everything, the archer embarks upon an epic quest to find the meaning of life. “‘Lo now,’ said Arthur, ‘have ye seen a cloud? Like any legitimate quest, this particular Full Moon in Sagittarius, is not without challenging aspects. The Moon will be conjunct Saturn and squared Neptune forcing a confrontation with irresponsibility and delusion. Your soaring sense of destiny will be stopped short by some serious obstacles. The presence of Saturn in Sagittarius over the last two years has put quite a strain on ideology and belief, demanding blind zealotry or the total sacrifice of one’s former illusions about life. The narrative of history, politics, religion, education, and philosophy have all been scalded by this punishing fire. Thus, with the Full Moon culminating near this point, (Saturn) your newfound wisdom will be wrought from a complex confrontation with delusion. (Neptune) It may be your own delusion or the delusions of your society. Either way, there may be a sense of inherent mourning. Considering that the square between Saturn and the Neptune will create a need to reconcile delusion (Neptune) with reality (Saturn), expect to see the dark side of utopianism, where idealism degenerates into a narcotic haze. The Full Moon in Sagittarius will help you to find the truth through primal instinct, offering you a window of escape from the dazed malaise of mind numbing rhetoric. Whenever you feel overwhelmed by your place and time, it is usually fruitful to gain perspective by looking to the past, for whatever our ancestors have endured, we too can endure. Despite the advent of information technology arising at the end of the 20th Century, the Information Age has its roots in the Victorian era, when the way that people understood information changed significantly. For the first time, information no longer had to be associated with a lineage of thought or an intrinsic tradition of ideas. Instead information became divorced from context and content, transforming into an abstract subject in its own right. The Victorians, ruled by progress, industry and science, now became increasingly fascinated by statistics and reports. Bureaucracy really hit its stride. Sounds familiar, right? During this time of progress and upheaval, the poet laureate of England, Alfred Lord Tennyson, was working on his epic the Idylls of the King, which was a Victorian interpretation of the Arthurian legends. As a poet who was exalted by the Royal family, his work did not venture into the rebellious territories that the Romantics had dared to tread only a generation before. But, as a gifted poet and a great lover of the legends of Arthur, Tennyson dealt with the suffering of his time through his re-interpretation of the legends, most notably in his version of the quest for the Holy Grail. If Arthur is the ideal Soul of Man, then Tennyson’s version of the Holy Grail is represented as a tragic betrayal of that Soul. He must have been trying to express the dissonance experienced in his own time and place, where the Soul was being systematically betrayed by industry and commerce. In the Victorian era, all aspects of religion, faith, and belief were being questioned and scrutinized by science, especially by the popularity of Darwin’s Origin of the Species. The fundamentals of the premodern worldview, founded upon religion and a belief in the Soul, were growing increasingly out of fashion as they were replaced by a socially conscious materialistic outlook. Tennyson’s Holy Grail deals with the tragic loss of Camelot, King Arthur’s paradise on earth where the ideal Soul of mankind is enthroned. 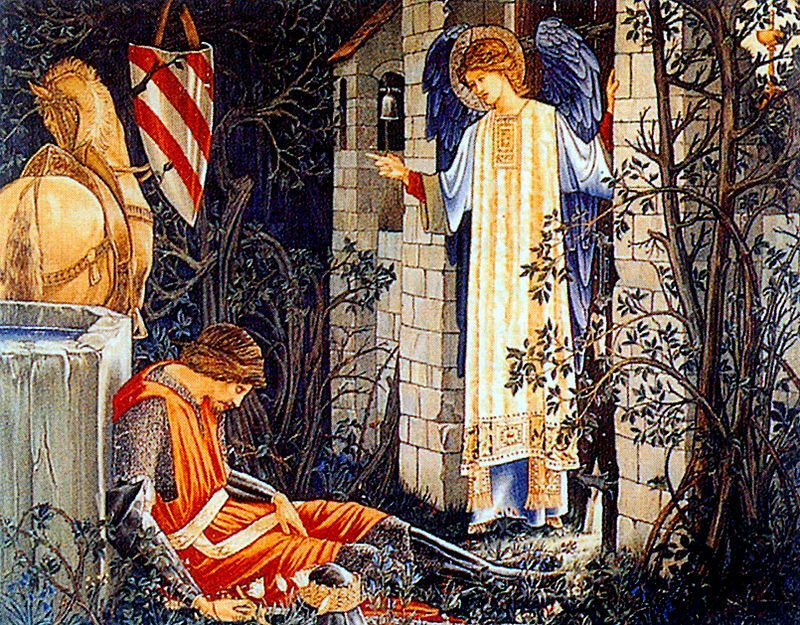 Tennyson envisions that King Arthur’s intentions are noble, pure, and utterly impossible to realize as the social order degrades. 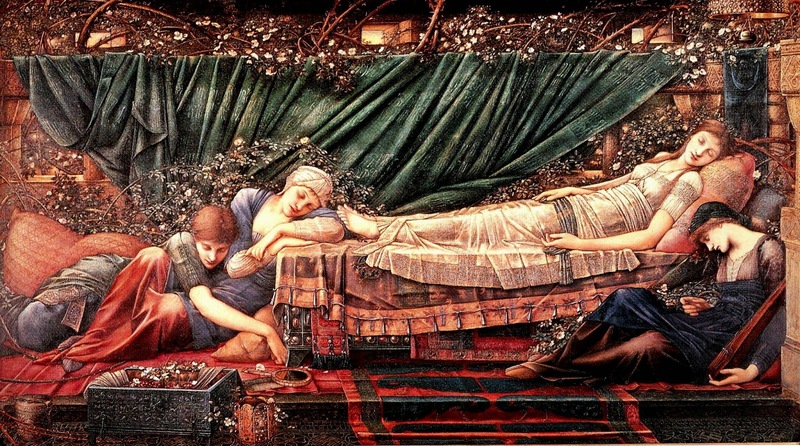 In this melancholy poem, the reader witnesses the destruction of the Round Table as each of King Arthur’s Knights lose touch with their allegiance to Camelot in pursuit of personal salvation through communion with the Holy Grail. In Tennyson’s interpretation of the Grail story, the road to hell is paved with good intentions. The Holy Grail (aka the Sangreal) represents delusion and distraction more than salvation. This may be because by this period of history, literary people no longer truly believed in the legends as the medieval writers (like Sir Thomas Malory) had. Tennyson loved the legend of the Holy Grail, but he could not believe in it. The sacred meaning had become profane. As an examination of his society, which had decayed into materialism and individual interests, Tennyson revived the legend of the Holy Grail. Much like the state of England in his own time, in the legend, Camelot was experiencing an increase in degradation and suffering. The Quest for the Holy Grail was thus born from the desire to abate the disappointment with the loss of honor. In other words, the Quest becomes a form of escapism. Instead of staying in Camelot and working together as the Order of Knights, they disperse themselves, dividing their energies and weakening the state of Camelot further. Each Knight strikes out in pursuit of his own personal interest. Sir Percivale seeks the Grail to heal the world. 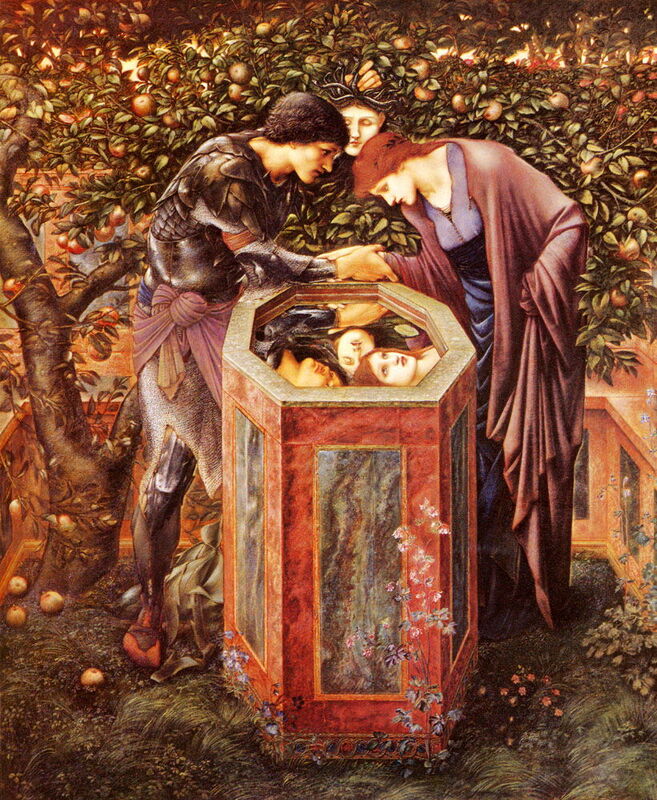 Sir Lancelot seeks the Grail for salvation from his sins. Most of the individual quests for the Holy Grail are treated sympathetically by Tennyson, who obviously understood the impulse to seek salvation and retreat from a crumbling society. As a poet, there is no doubt that he understood the impulse to become devoted to mystical revelation. But the poem reveals that these quests for revelation and salvation were ultimately fruitless and demanded the sacrifice of their primary allegiance to King Arthur and to the city of Camelot. The original ideal was thwarted for another even more impossible ideal. The epilogue of Tennyson’s Holy Grail is quite melancholy, revealing the complex emotions of King Arthur who has lost his Knights and his city. Arthur, like Tennyson, maintains deep sympathy for the spiritual desires of humanity. But Camelot was reduced to a wasteland in the absence of the Knights. Thus their hope to heal the world and bring salvation ended in failure. In conclusion, the conjunction between this Full Moon in Sagittarius and Saturn, both square to Neptune will ask you to discern where you are using high ideals to mask delusion and escapism. Knowing that the Holy Grail only appears when society has become increasingly aware of its hypocrisies, evils, and errors, what temptation to escape from this awareness do you fall prey to? You can easily see escapist behavior in others en masse, but search your soul first and foremost. If you want to successfully refute denial and ignorance you must not feed pious mania, but instead familiarize yourself with the dimensions of cold hard reality. That’s Saturn’s lesson for the moment.